TOKYO (Reuters) - Mitsubishi Motors Corp (7211.T) admitted to manipulating test data to overstate the fuel economy of 625,000 cars sold in Japan, knocking its shares down more than 15 percent and wiping $1.2 billion off its market value on Wednesday. The automaker said it stopped making and selling its eK mini-wagons for the domestic market after Nissan Motor <7201.T>, which markets a similar model made by Mitsubishi, found a discrepancy in fuel efficiency test data. Mitsubishi Motors said the fuel economy levels of models made for the local market were up to a tenth lower than stated in its test results. It said it manipulated those levels to gain a favorable reading for its fuel economy certification. As global emissions regulations tighten, fuel economy has become a major factor for environmental- and cost-conscious buyers. 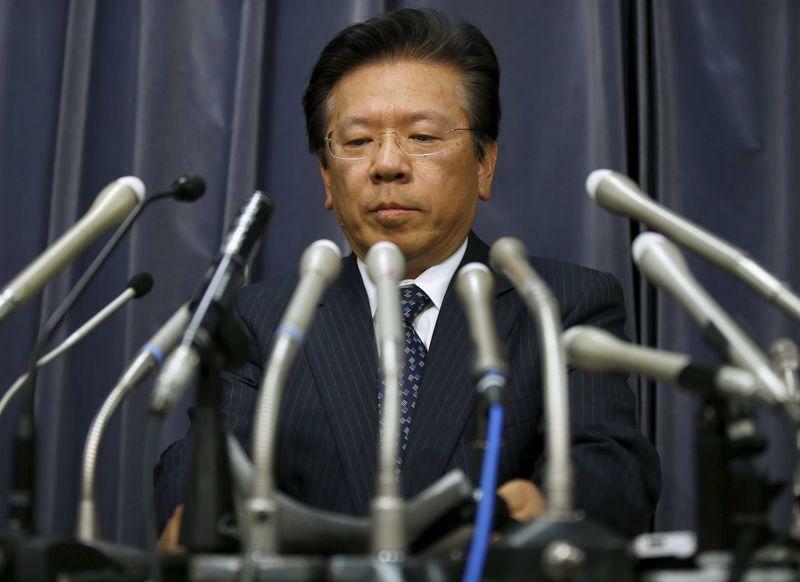 Tetsuro Aikawa, the president of Japan's sixth-largest automaker, bowed in apology at a news conference in Tokyo for what is the biggest scandal at Mitsubishi Motors since a damaging defect cover-up over a decade ago. "We'd like to apologize for the issue," Aikawa said. "The focus right now is to resolve this problem and prevent it from happening again ... it could be quite damaging." Shares in Mitsubishi Motors closed down more than 15 percent at 733 yen, the stock's biggest one-day drop in almost 12 years. Shares in Nissan closed down 1 percent. Mitsubishi Motors said the test manipulation involved 625,000 vehicles produced since mid-2013. These include its eK mini-wagon as well as 468,000 cars it made for Nissan, which markets them as the Dayz. Nissan, which has sold 450,000 of its Mitsubishi-made Dayz since 2013, said the manufacturer admitted intentionally falsifying the data. It said it had no plans to change its relationship with Mitsubishi Motors for now, and would not comment on how the issue might impact the development of updated models. Mitsubishi said it would examine other models made for global markets to verify their fuel economy levels. The company said that in calculating its cars' fuel efficiency, it measured how much they slowed per second rather than the time it takes to slow by 10 kms (6.2 miles) per hour, as required under Japanese regulations. It also manipulated the equipment used to measure a car's rolling resistance during fuel economy tests, and used a different testing system from other Japanese automakers. Japan's Transport Ministry ordered Mitsubishi Motors to submit a full report on the test manipulation within a week, and said it would decide on its response to that report by May 18. "We are disappointed this has occurred and regret that an incident like this can also happen in Japan," said Takao Onoda, director at the ministry's recall division. Mitsubishi Motors' admission follows its revelation in 2000 that it covered up safety records and customer complaints. Four years later it admitted to broader problems going back decades. It was Japan's worst automotive recall scandal at the time. Mitsubishi Motors, which has annual sales of just over 1 million cars, is the first Japanese automaker to report misconduct involving fuel economy tests since Volkswagen (VOWG_p.DE) was discovered last year to have cheated diesel emissions tests in the United States and elsewhere. South Korean car makers Hyundai Motor Co <005380.KS> and affiliate Kia Motors Corp <000270.KS> in 2014 agreed to pay $350 million in penalties to the U.S. government for overstating their vehicles' fuel economy ratings. They also resolved claims from car owners.